GC Fuji VII EP is a clinically proven glass ionomer cement formulation enhanced with RECALDENT™ (CPP-ACP) for superior protection and remineralisation. Once applied, GC Fuji VII EP forms a mechanical barrier to protect the covered and surrounding tooth surfaces and to minimise plaque accumulation. 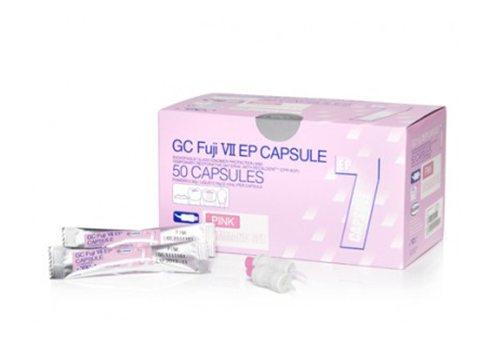 GC Fuji VII EP is essential when treating higher risk patients, including those with high acid exposure, reduced saliva flow, compromised cleaning and plaque removal capability.